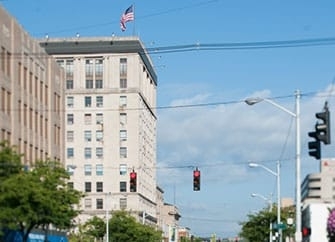 As one of the oldest eastern Kentucky based law firms we provide extensive real estate and title services in Kentucky, Ohio and West Virginia to lending and banking institutions, oil and gas entities, coal entities, commercial establishments, business entities, corporations, and individuals. Real Estate has always been an essential service provided by our firm and will continue to be a vital part of our practice for the years to come. Real estate matters are significant for most all businesses and industries, and we ensure they are handled effectively so that the real estate assets are protected for our clients. Our firm also serves as a licensed Title Insurance Agent for Old Republic Title Insurance Company and Fidelity National Title Group, which includes Commonwealth Land Title and Chicago Title. Contact us by email or toll free at 606-329-2929 if you would like to discuss real estate-related matters. Schedule an initial consultation today with one of our experienced attorneys. We are located in the Community Trust Building in downtown Ashland.